Last time we implemented a basic web scraper that downloaded the latest questions from StackOverflow and stored the results in MongoDB. In this article we’ll extend our scraper so that it crawls through the pagination links at the bottom of each page and scrapes the questions (question title and URL) from each page. 09/06/2015 - Updated to the latest version of Scrapy (v1.0.3) and PyMongo (v3.0.3) - cheers! This is a collaboration piece between the folks at Real Python and György - a Python enthusiast and software developer, currently working at a big data company and seeking a new job at the same time. You can ask him questions on twitter - @kissgyorgy. There are two possible ways to continue from where we left off. The first is to extend our existing Spider by extracting every next page link from the response in the parse_item method with an xpath expression and just yield a Request object with a callback to the same parse_item method. This way scrapy will automatically make a new request to the link we specify. You can find more information on this method in the Scrapy documentation. The other, much simpler option is to utilize a different type of spider - the CrawlSpider (link). It’s an extended version of the basic Spider, designed exactly for our use case. We’ll be using the same Scrapy project from the last tutorial, so grab the code from the repo if you need it. Scrapy will now automatically request new pages based on those links and pass the response to the parse_item method to extract the questions and titles. If you’re paying close attention, this regex limits the crawling to the first 9 pages since for this demo we do not want to scrape all 176,234 pages! That’s it for the spider, but do not start it just yet. This tells Scrapy to wait at least 5 seconds between every new request it makes. You’re essentially rate limiting yourself. If you do not do this, StackOverflow will rate limit you; and if you continue to scrape the site without imposing a rate limit, your IP address could be banned. So, be nice - Treat any site you scrape as if it were your own. Now there is only one thing left to do - store the data. Last time we only downloaded 50 questions, but since we are grabbing a lot more data this time, we want to avoid adding duplicate questions to the database. We can do that by using a MongoDB upsert, which means we update the question title if it is already in the database and insert otherwise. For simplicity, we did not optimize the query and did not deal with indexes since this is not a production environment. Now sit back and watch your database fill with data! You can download the entire source code from the Github repository. Comment below with questions. Cheers! 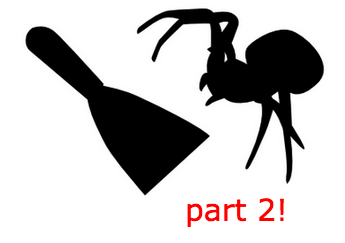 Looking for more web scraping? Be sure to check out the Real Python courses. Looking to hire a professional web scraper? Check out GoScrape.